Finding out that someone you love has cancer can be just as stressful as hearing your own cancer diagnosis. It is only natural that one would want to cheer them up and help them distract from that horrific news but, that may not be what they need. The key part of living with cancer or finding out that you have a few years, months, or days to live is to stay positive, be hopeful, and to never give up. In Rhio O’Connor story it was (mesothelioma) what came in place a tumor that arises in the cells lining of the lung. It is a shiny surface, which, normal stage help the lung to slide smoothly against the chest wall. Mesothelioma begins to develop on the surface of the lung and begins to secret a clear fluid; making the lungs to slowly collapse. It is a rare cancer that occurs more often in men than women and risk increases with age. Working with asbestos is the risk factor for mesothelioma. Asbestos is a group of minerals that occur naturally as masses of strong, flexible fibers that can be separated into a thin threads and woven. Common samples of asbestos are found in many industrial products, including cement, roof shingles, flooring products, textiles, and insulation. Rhio O’Connor story was of a great impact for me and a wakeup call as well. I came to realize how precious our life is and how important is to live life to the fullest stances. Life could be gone by the blink of an eye and we don’t even know it. We are not appreciative of the greatest gift of all, which is, our life and health. I realize that I need to let those that I care about the most know how much I love them and care for their well-being. I would have not done anything differently from what he did. On the contrary, I would have done just the same and continued his journey. If I was to find out that I have cancer today, my first reaction would be Why me? What do I do now? Or when am I going to die? Those are the first questions that would have come to my mind when I first hear the prognosis of cancer. I know that doctors cannot predict what will happen to me because everybody is different. I am a unique individual with my own health issues. I also know that today’s newer therapies have not been around long enough to affect the statistics, so the outcome for my disease may be far more hopeful than the one doctor suggest. Instead, I would first do my own research through the internet, books, library, and magazines as well. There is a really good website related to this type of cancer www.survivingmesothelioma.comthat has good information relating this type of disease and has testimonials of real life cancer survivors. I would arm myself with knowledge of all the options available to me. I would try second opinion from other specialists. My grandmother goes by the old saying “Two head are better than one” which I also believe. I would also contact different doctors that have treated this disease or have a better knowledge and understanding than I do. I would talk to different cancer survivors, especially those with the same condition. I would meet with them, talk to them to find out other ways of that could help me improve my life. I would also assist and participate in different seminars related to this type of cancer. I would not undergo any type of chemotherapy, if it was not a really necessary. I have heard from cancer patients that it is a really rigorous treatment and a very overwhelming experience to go through. The chemotherapy could also deteriorate other organs and make things worse. So, I would prefer to try other ways of treating this disease. There are other options and treatments that could also work as good as or better than surgery. This is why, for doctors, surgery is the last resource. One great example of Rhio’s story was from the famous actor Patrick Swayze, whom we all know for his great performances in the movies “Dirty Dancing”, and “Ghost” just to name a few. Patrick had the same belief as Rhio: “I’ll go when it is time for me to go, not when destiny says is time”. 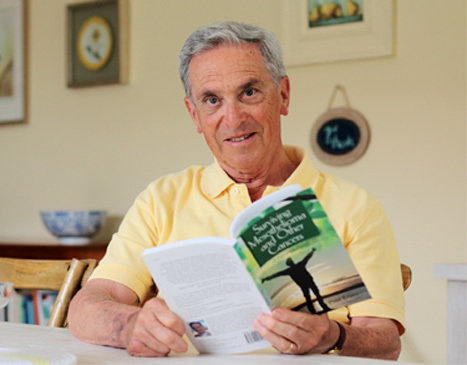 He worked his way up to prove that he was greater than life by founding his own path to health and outliving his prognosis when he was only given a 5 percent chance of living. He could have put off his career right then and there, but he made the choice of keep going on with his life. “Patrick was a rare and beautiful combination of raw masculinity and amazing grace … He was a real cowboy with a tender heart. He was fearless and insisted on always doing his own stunts, so it was not surprising to me that the war he waged on his cancer was so courageous and dignified,” Co-star Jennifer Grey said in a statement given to the New York daily news. Rhio O’Connor on the other hand, believe in something greater than himself, and the ability to make tough choices helped him beat his prognosis, as stated on his publishing. I could conclude that when you see yourself or a loved one facing a situation like this your best support to them is being strong and positive at all times. It is a hard and painful journey, but it is worth taking. Especially when you have the support of those love you. Always remember, you are not alone and there is always a small tiny light at the end of the tunnel.